Hwy 101 mile marker 274. 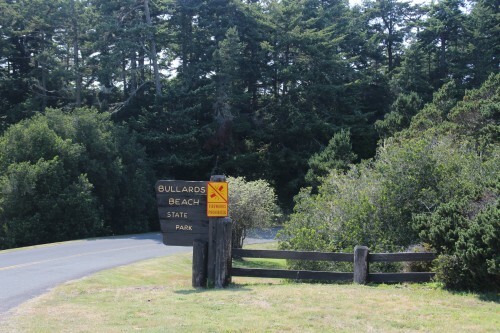 Bullard's Beach State Park is a large park with a large camping area protected from sea breezes by big pine trees. Also there is a lighthouse on the Coquille river, in the park. 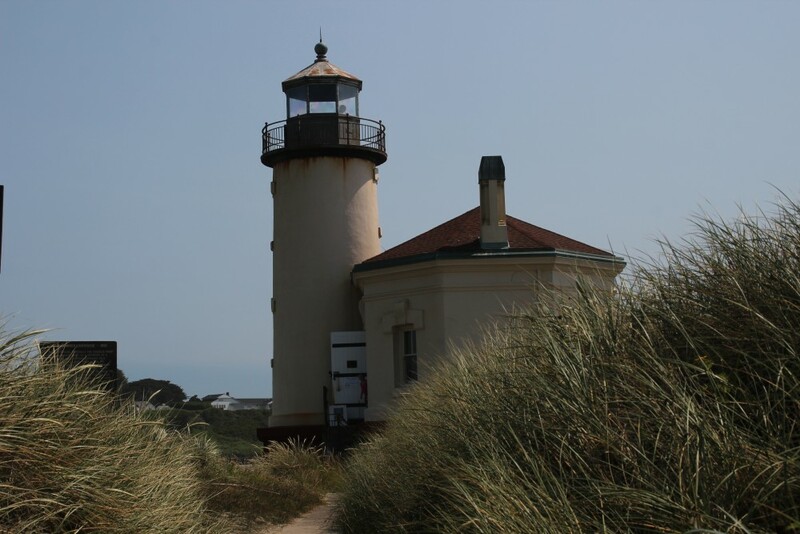 It was the last lighthouse built on the Oregon coast (Umpqua's original tower was the first, but was lost to a flood. The lighthouse at Cape Blanco was built before the replacement at Umpqua, and thus is the oldest of the presently standing lighthouses.) The Coquille lighthouse contains a solar-powered light for aesthetic purposes only. 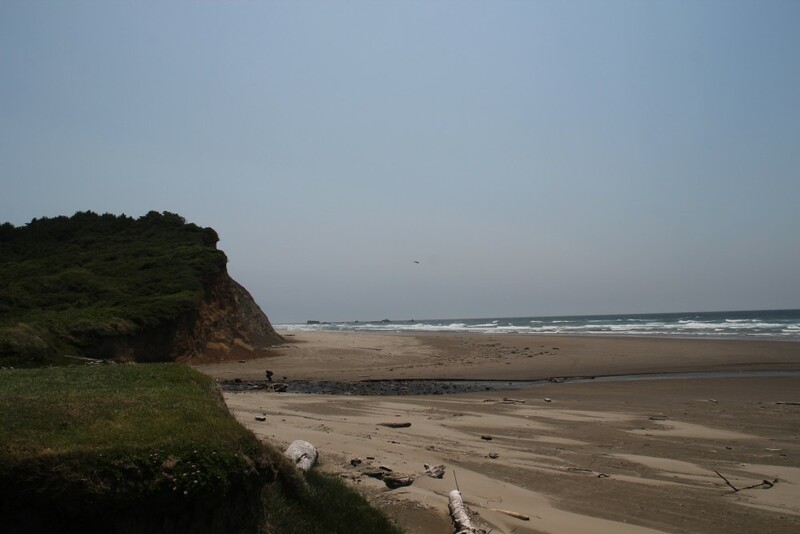 Site Resources: lighthouse, full-hookup sites (100), yurts (13), campsites, picnic tables, restroom, showers. 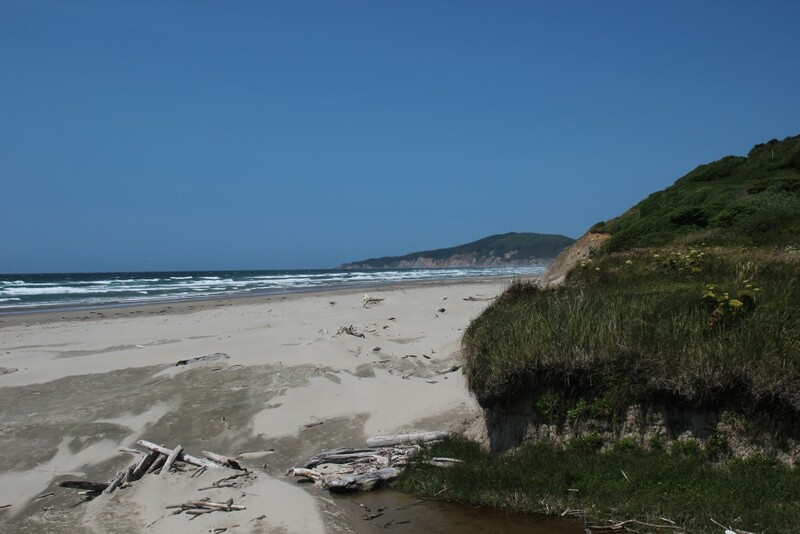 Oregon Parks link:Bullard's Beach State Park No fee required for day use.